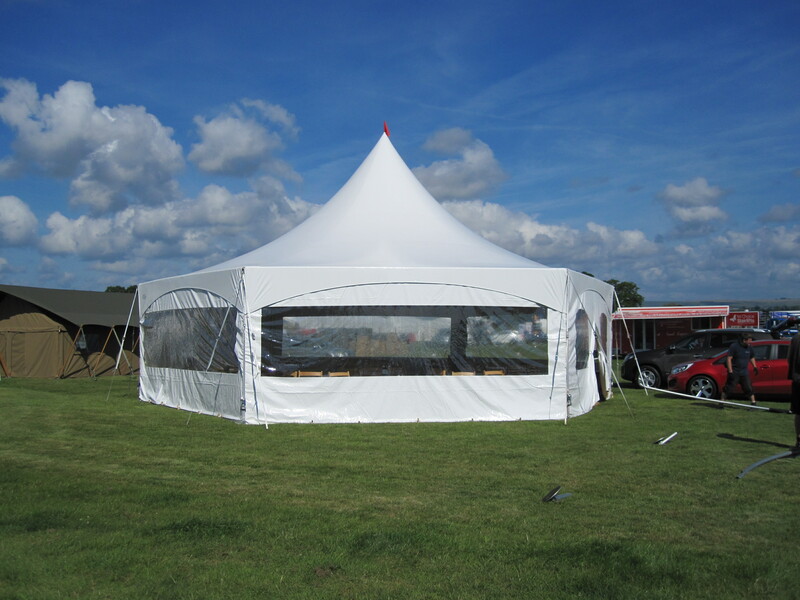 We import our Chinese Hat Marquees from Canada and their versatility and style have made them extremely popular with our customers. 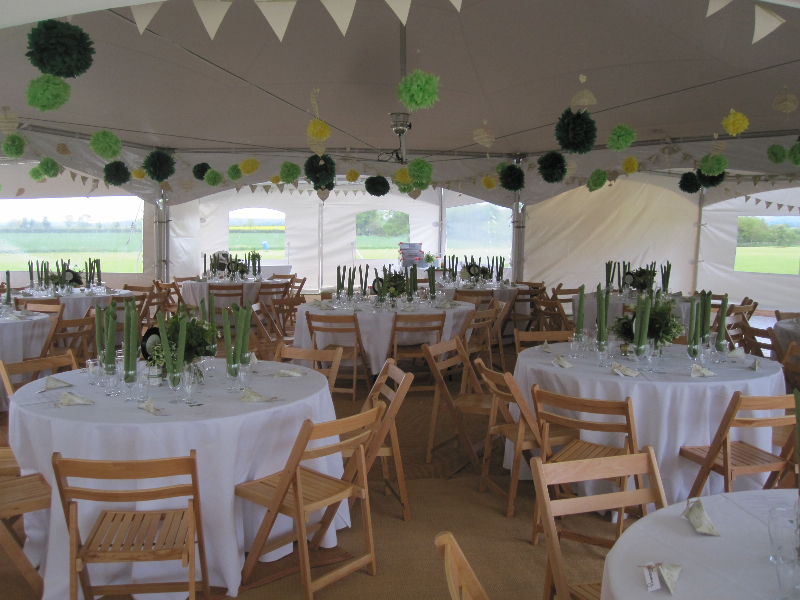 These stylish, modular marquees combine elegance and simplicity to add a touch of class to your event. Ideal for parties and weddings, the versatility of the modular design allows flexibility in the layout to suit your requirements. The marquee walls may be plain or have full clear pane windows which allow your beautiful garden or view to be part of your event even in the worst weather. If the weather is unusually good the walls can easily be removed. Modular 20’(6m)X 20’ (6m) marquees and our new hexagon marquee can be joined together in various configurations to create a space seating up to 250 people. With 9’ legs these marquees create a feeling of spacious elegance and any combination of doors, windows or plain walls can be requested. Our new hexagon marquee has 20’ sides and can easily be extended by the addition of 20’ or 10’ modules for more seating, a dance floor or a chill out area. Seating up to 250 people the flexibility and spacious feel to these marquees have made them the marquee of choice for many of our customers.